At-large Boston City Council candidate Domingos DaRosa. If a man like Donald Trump can be president, then who is qualified to sit on a city council? More to the point, who isn’t qualified to hold any elected office? It’s a fair question when weighing a run for Boston city councilor at-large by the likes of Domingos DaRosa, a 40-year-old small business owner from Hyde Park without a hint of conventional political experience. In a sleepy city election with a powerful incumbent mayor seemingly cruising to reelection, DaRosa represents a small sign of fresh, unconventional activity in the grass roots. DaRosa’s decision to run was encouraged by his mentees and followers in the neighborhood. 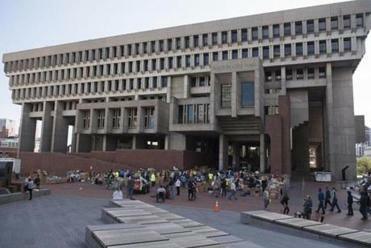 Voters shouldn’t tune out the City Council race in Boston’s upcoming election. DaRosa was born in Cape Verde and arrived to Boston with his family when he was 9 months old. He graduated from Madison Park Technical Vocational High School and has experience working with youth in different capacities, most recently as a coach for the Boston Bengals team out of Clifford Park. He has no airs about him, and like Trump, he commands a visceral reaction among voters. It’s the “He-tells-it-like-it-is” brand of nonpolitician that Trump has mastered. During a recent meeting with the Globe editorial board, DaRosa admitted to having “tons” of skeletons in the closet (“I’ve got more skeletons than the cemetery, man”) but quickly turned a potentially risky moment into a lighthearted but inspirational conversation about past transgressions. He’s a Trump-like candidate except totally unlike Trump. DaRosa said his campaign has registered almost 200 new voters, mostly young Bostonians. He said he would bring a more inclusive vision to the City Council. “There are some at-large councilors who never bridge the gap between one community and the next. We all have different issues in Boston,” he said. As an alum of Madison Park, DaRosa conveys a real sense of urgency about the place and has good ideas to fix it, such as overhauling the way kids are admitted to the vocational high school. A self-described kid from the street corners of Boston, he would also work to make the city more hospitable to bicycle riders (DaRosa got an endorsement from StreetPAC Mass, an independent political action committee working to elect candidates committed to improving the streets). DaRosa is not the only newcomer aspiring to an at-large seat. 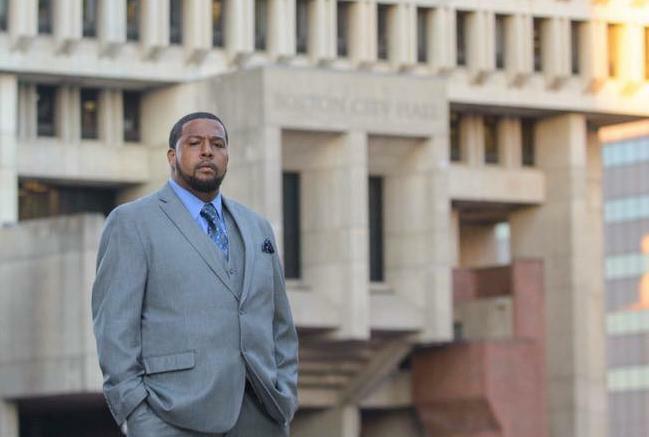 There’s William King, a 28-year-old IT specialist and product of Boston public schools. He speaks passionately about fully rebranding Madison Park and would support expanding vocational programs to all the Boston high schools. King is also in favor of safe injection sites, a controversial initiative that has been pretty much rejected by Boston officials. Boston, a majority-minority city, still lacks adequate diverse political representation. While neither DaRosa or King, both men of color, is given much of a chance to win on Tuesday, perhaps they represent a new trend: idealists from the neighborhoods who want to make a difference. And they have bigger hearts than Trump — and are at least as qualified for the positions they seek. Marcela García is a Globe editorial writer. She can be reached at marcela.garcia@globe.com. Follow her on Twitter @marcela_elisa.